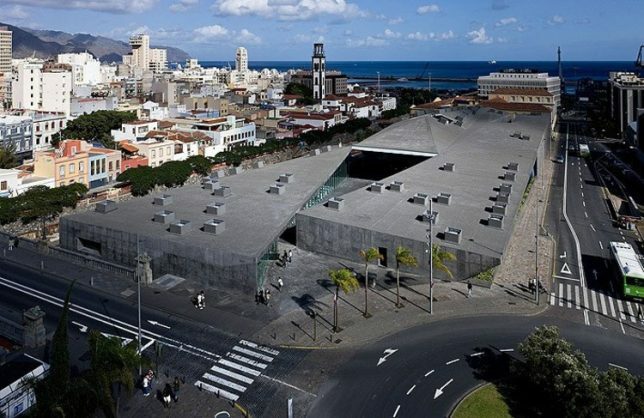 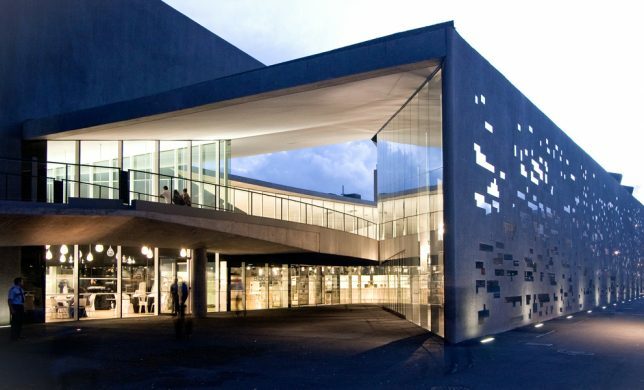 Based in Basel, Switzerland, the architecture firm Herzog & de Meuron is known for dramatic, monumental Modernist structures free of frivolity, expanding over the years from simple geometric silhouettes to more complex and dynamic shapes. 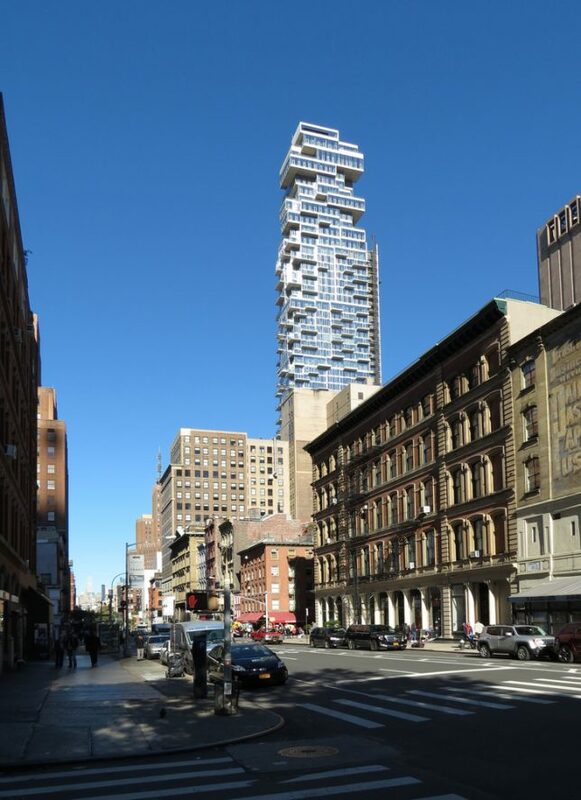 Each of their buildings is almost like an oversized sculpture, some rising high above street level or cantilevering at striking angles while others, like their recent Berggruen campus, lie low and flat. 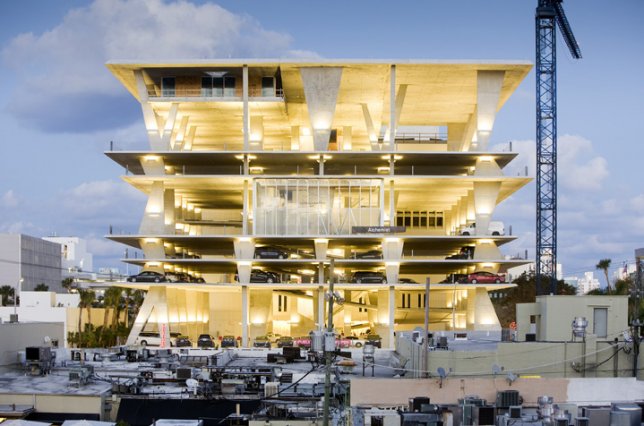 These 10 projects represent some of the firm’s most iconic and memorable works. 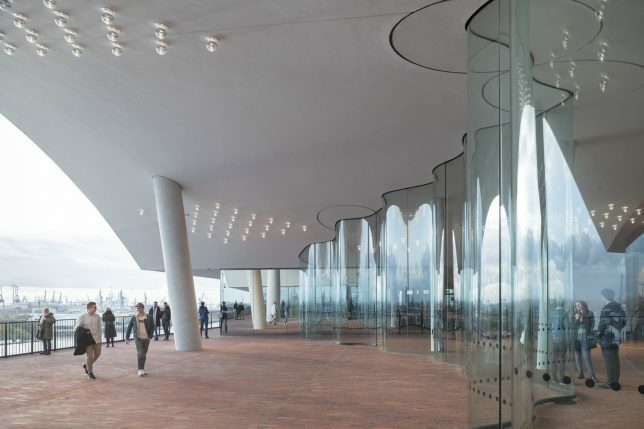 Construction of Herzog & de Meuron’s latest New York City skyscraper is complete, and the firm has released a stunning time lapse of the building process. 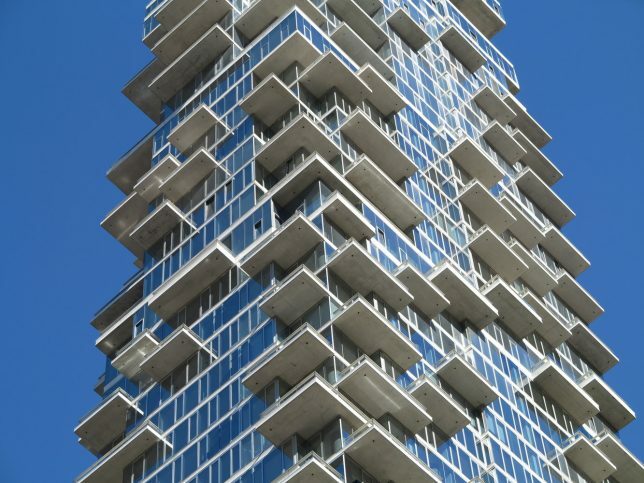 This structure is envisioned as a stack of individual houses arranged in a Jenga-like formation, giving it a pixelated appearance. 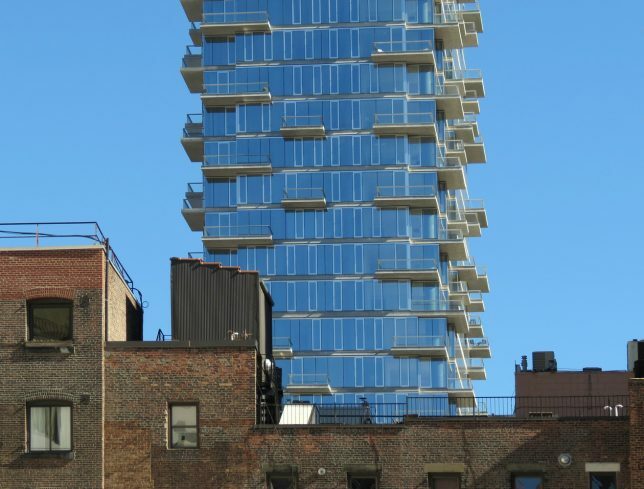 This arrangement also creates a series of terraces and projecting balconies on every level. 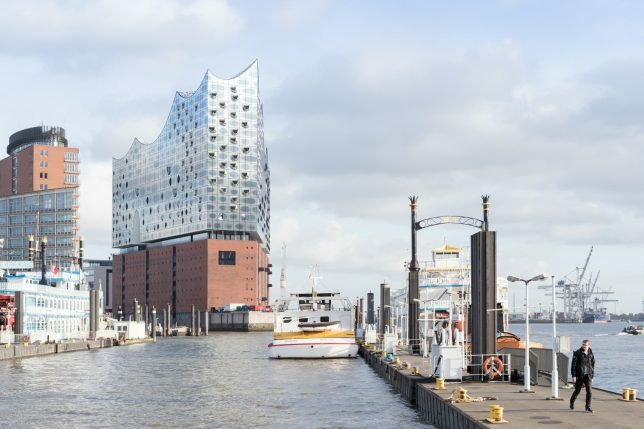 At $900 million, the price tag for Herzog & de Meuron’s Elbphilharmonie building in Hamburg is undeniably astronomical, but many in the city – and the international architecture community – say it’s worthwhile. 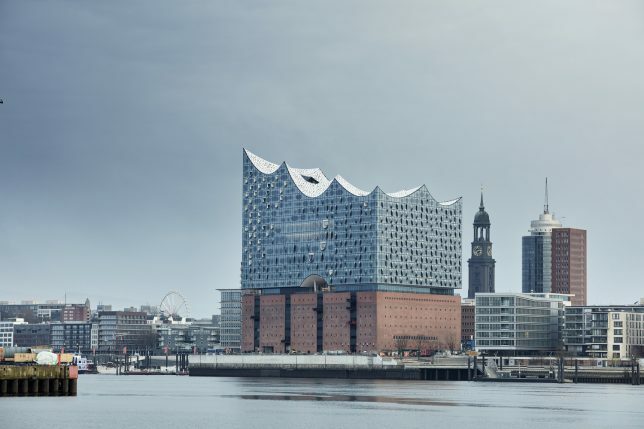 Positioned on top of a 19th-century warehouse, the new structure glitters in a series of buoyant waves, echoing the water of the adjacent Elbe River. 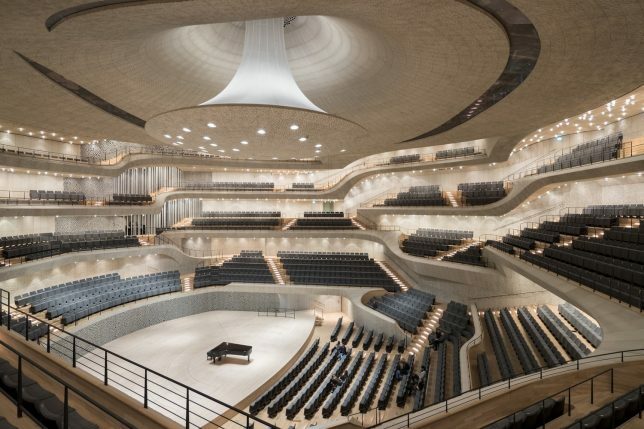 The 26-floor, 700,000-square-foot complex features a sweeping 269-foot escalator, performance halls, a main auditorium and a rooftop terrace. 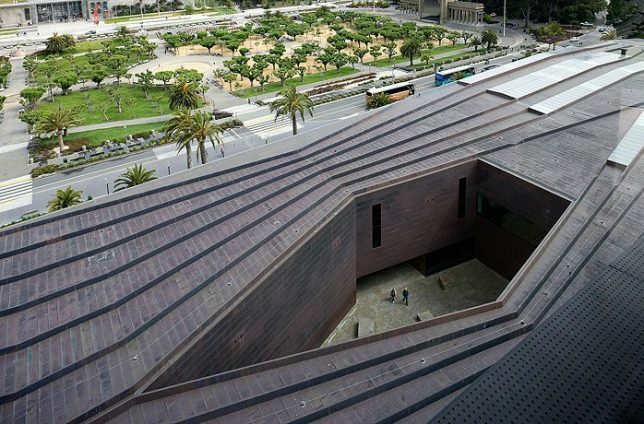 Reviving an 1895 museum that was destroyed by the 1989 Loma Prieta earthquake, the M.H. 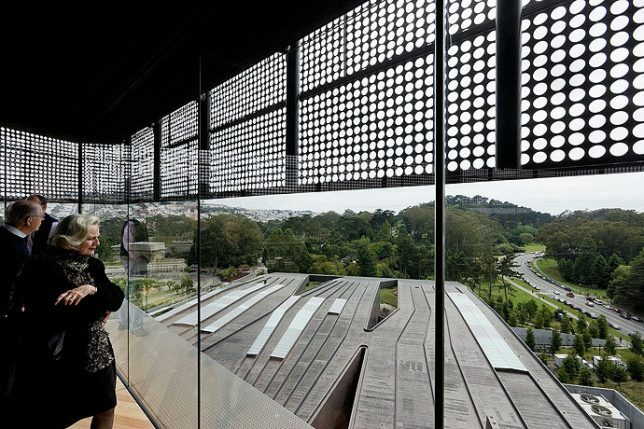 De Young Museum in San Francisco dramatically departs from the visuals of its predecessor, keeping only historic elements like sphinxes and original palm trees and taking on a monumental silhouette. 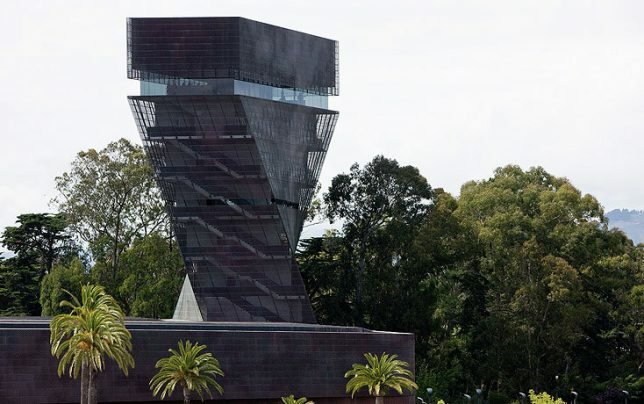 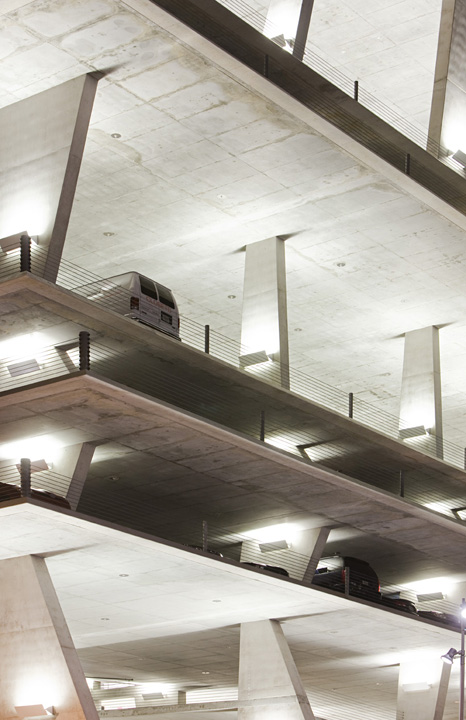 Its inverted pyramid-shaped tower twists atop its ground-level roof, making it a landmark from a distance. 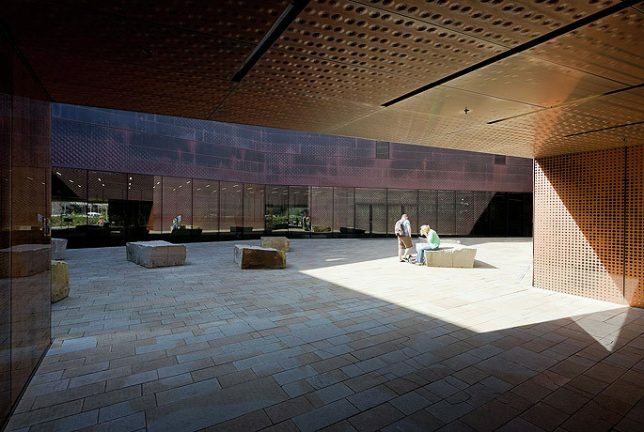 Materials like stone, copper and wood help merge it with its park-like environment. 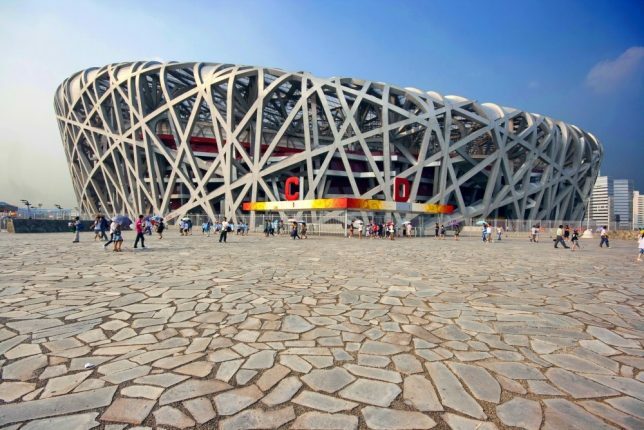 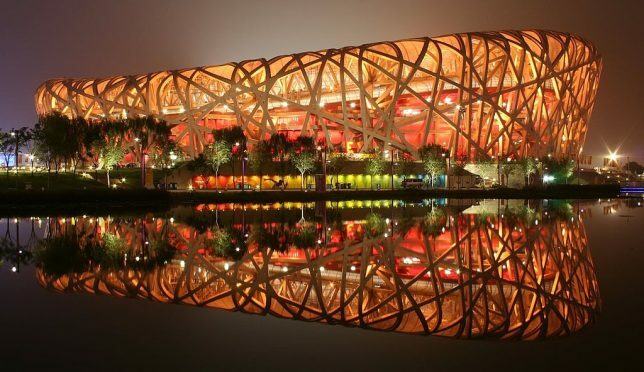 Completed in 2008, the national stadium in Beijing sits in the center of the Olympic complex, and like many Olympic structures once the Games are over, it has reportedly fallen into disuse and disrepair. 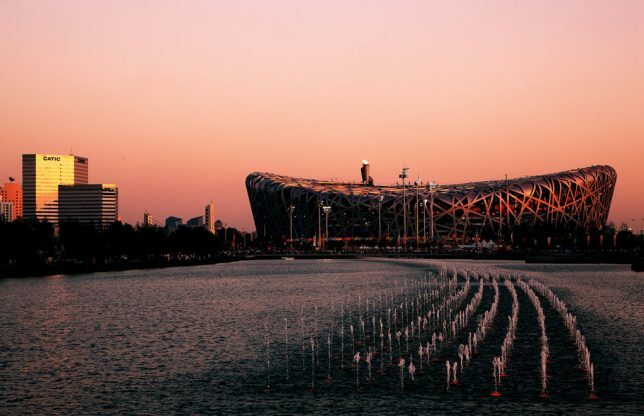 In its prime, it was one of the most complex stadiums ever built, and it was especially impressive at night, when illuminated from within. 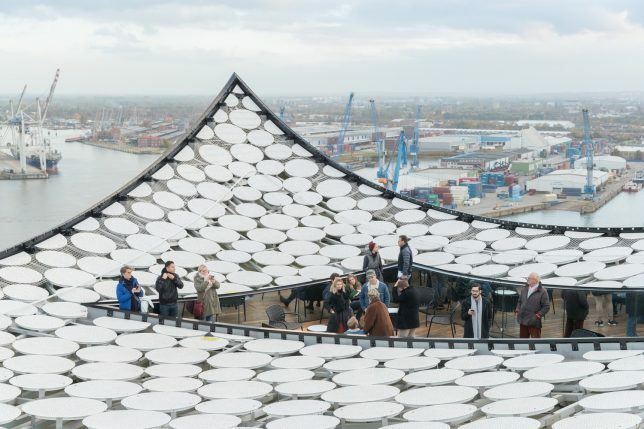 Taking inspiration from Chinese ceramics, it integrates criss-crossing steel beams to hide the supports for the retractible roof, which was later removed from the design. 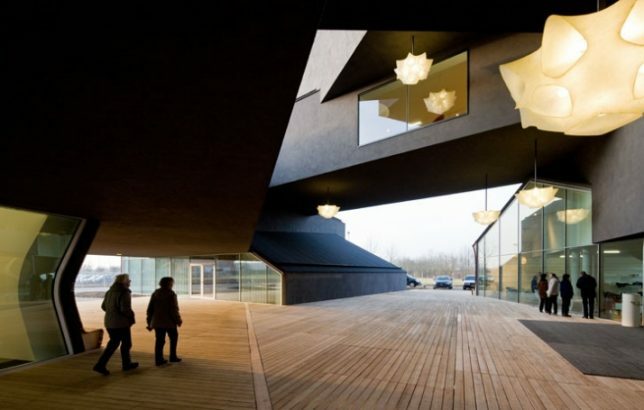 Still, those beams remain its most striking and notable feature. 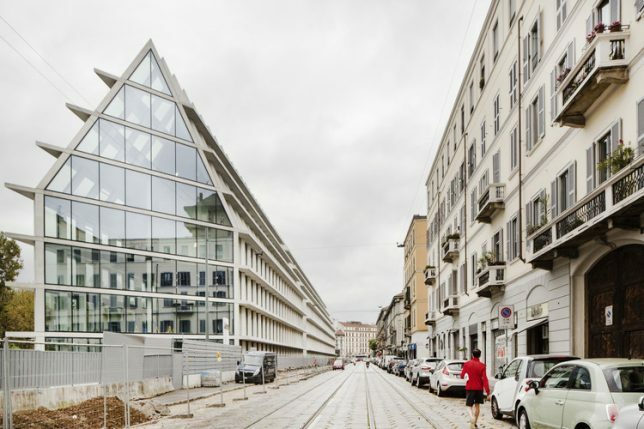 A long, gabled volume with a gridded exterior stretches down a Milan street, hosting a research center and offices for Fondazione Giangiacamo Feltrinelli. 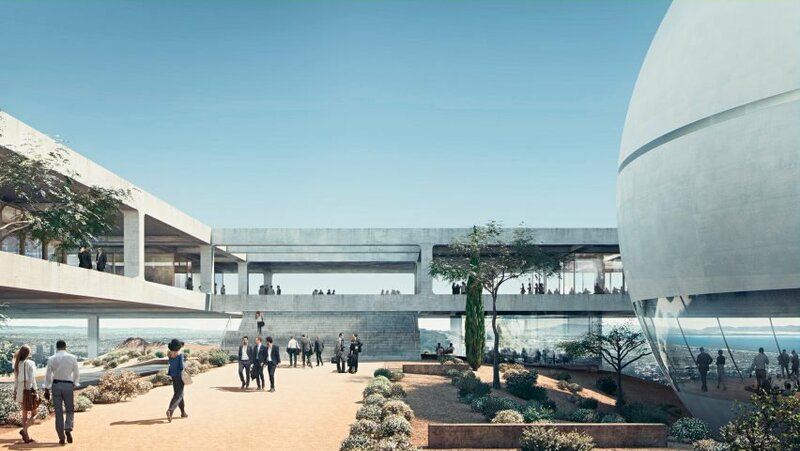 Situated within the city’s Ports Volta district, the elongated building is all white and glass, with glazing continuing right up its 5-story facade onto its roof. 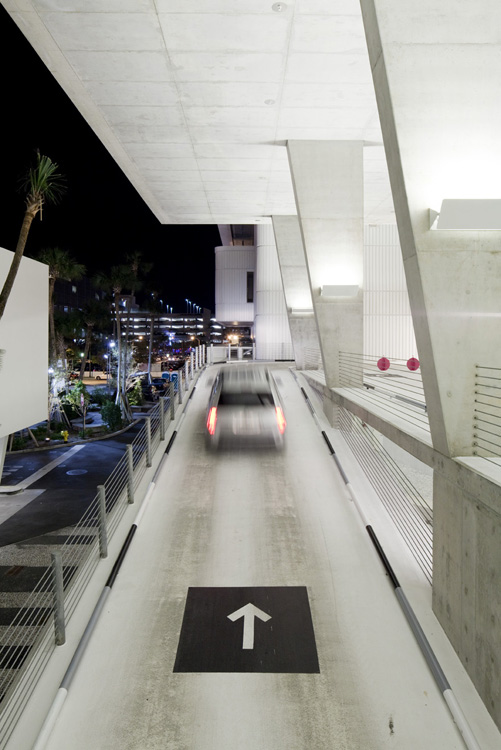 A strip of greenery stretches from the boulevard to its rear entrance. 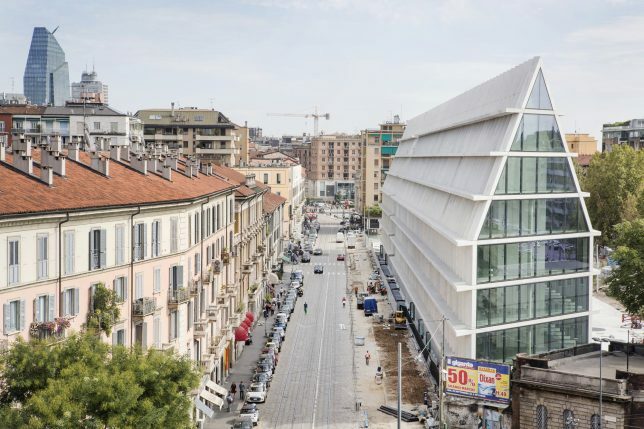 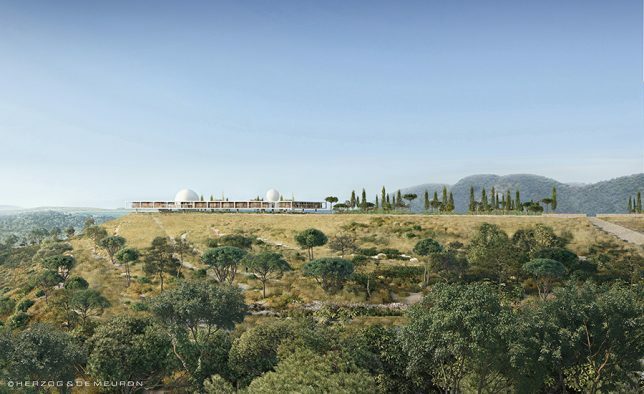 “The new buildings are inspired by the simplicity and generous scale of historic Milanese architecture such as the Ospedale Maggiore, the Rotunda della Besana the Lazzaretto and Sfrozesco Castle,” says Herzog & de Meuron. 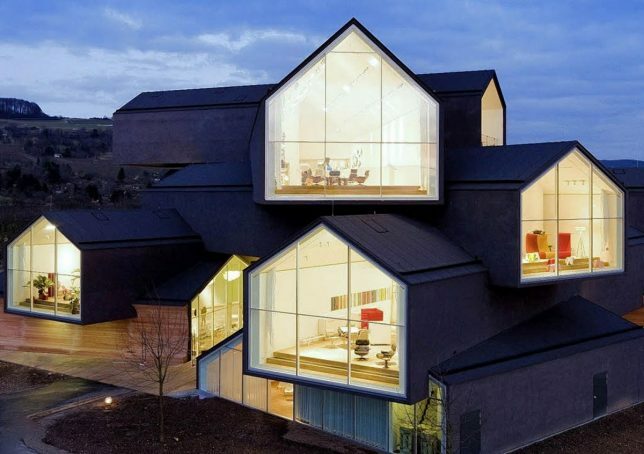 Another instant Herzog & de Meuron classic utilizing gabled typologies is VitraHaus, commissioned by home design company Vitra to present their home collection on their campus in Weil am Rhein, between the border of Switzerland and Germany. 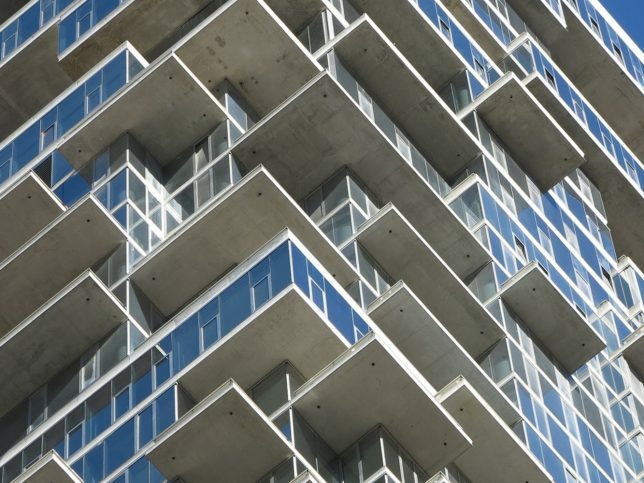 12 ‘houses’ are stacked together into a five-story structure, with five houses at the base and seven more stacked on top of them. 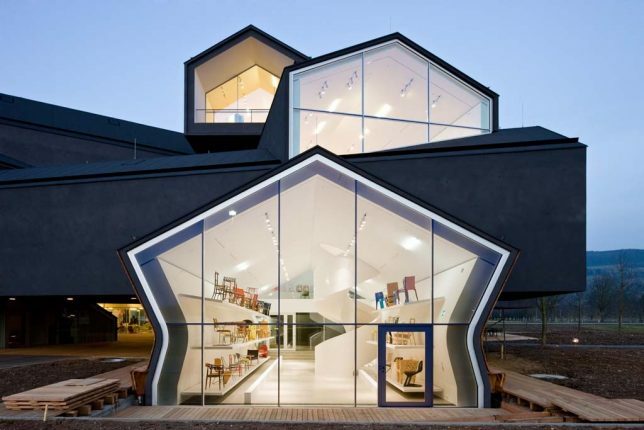 Some are cantilevered up to 49 feet, and all of them feature glazed ends to show off Vitra’s interiors. 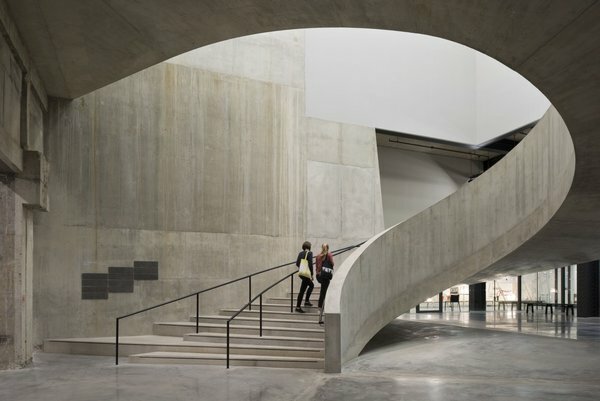 ‘The Tanks’ are a series of underground gallery and performance spaces beneath the Tate Modern Museum in London, converted from former oil storage spaces by Herzog and de Meuron. 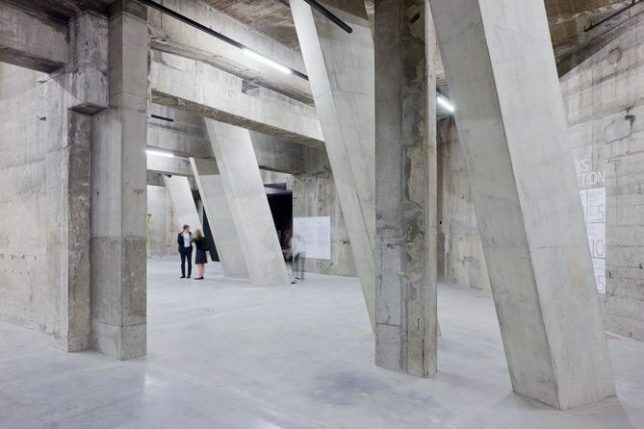 In a previous life, the space the gallery occupies was a power station. 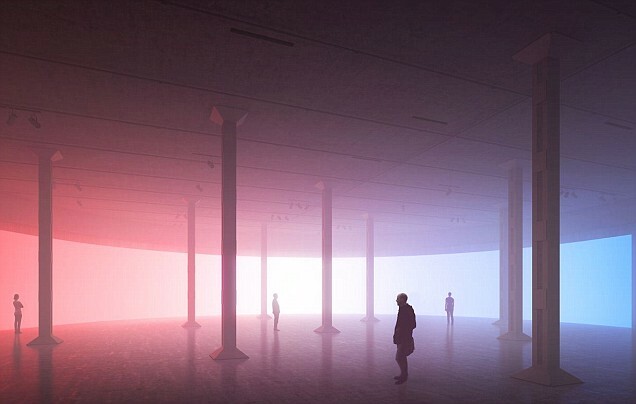 The architecture firm transformed the raw industrial spaces without disguising their origins, giving them a vague dystopian feel.